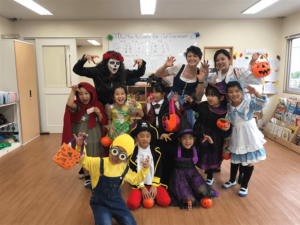 “Minions, witches, and pirates oh my!” The students of KIS celebrated a spooky Halloween dressed up as some of their favorite characters and monsters. 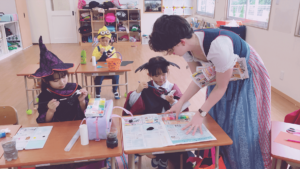 Students made eco-friendly halloween decorations by reusing toilet empty paper rolls. 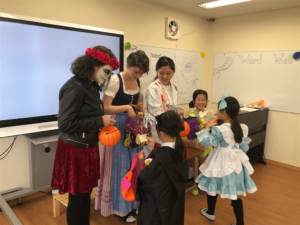 Afterwards they learned some “tricks” in order to earn their “treats.” Finally, students enjoyed listening to some ghoul-approved music, while getting their faces painted by the resident skeleton artist. 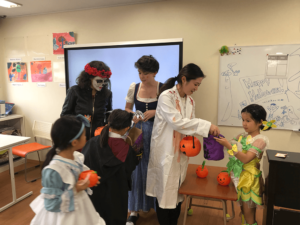 The fun continued as students walked to Hearth Club proudly wearing their halloween costumes. Happy Halloween!